Signs & Symptoms of venous disease can range from small cosmetic issues to physically debilitating leg pain with or without ulcers. Below are illustrations describing the various manifestations. If you are experiencing any of the following signs or symptoms, or if you have some doubts or concrens, come in for a vein consultation at one of our clinics. Our friendly staff will use ultrasound to check the veins and arrange to have you seen by Dr. V. If left untreated, these non functioning veins, due to the progressive nature of the disease, can lead to more serious problems such as blood clots and ulcers. 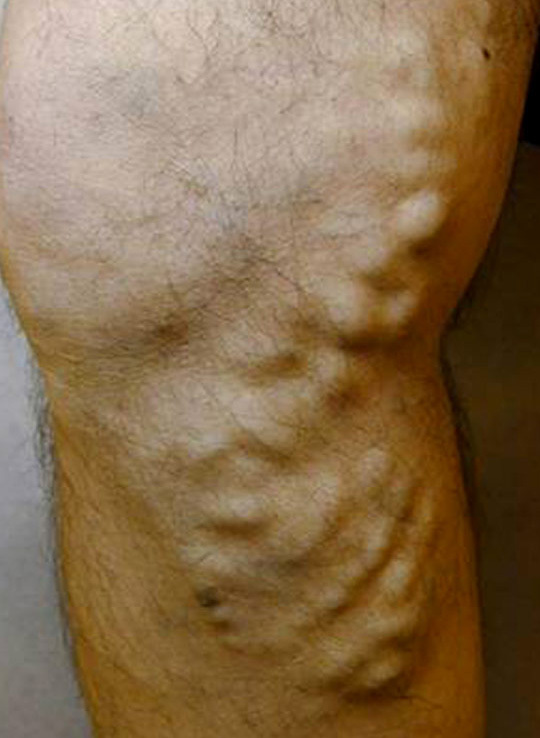 Caused by abnormal fluid build up due to non functioning veins. 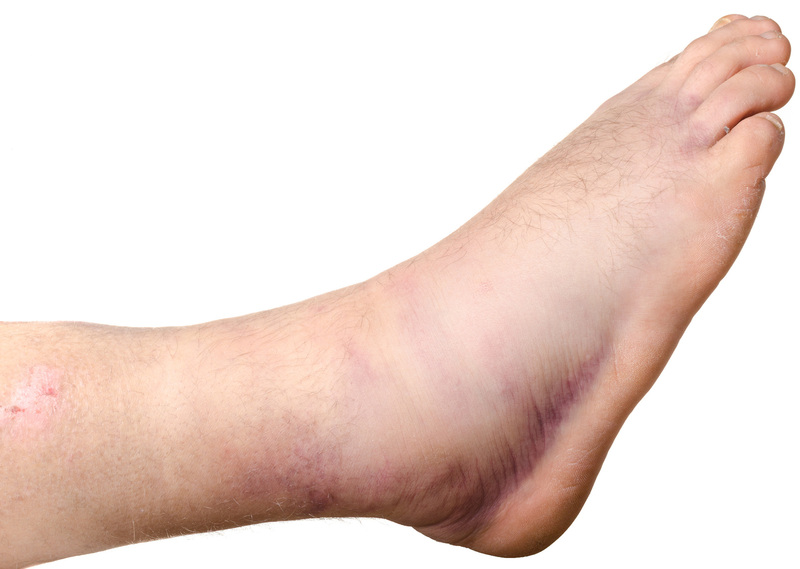 This condition occurs due to untreated veins and causes pain due to the skin being taut and stretched. In some cases, the shape of the leg has been described as an upside down champagne bottle. 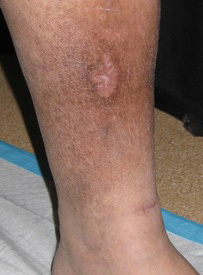 This is the crown like appearance of veins in the medial ankle area and is a sign of high pressure veins above. This occurs when the fluid part of the blood leaks out of the vessel settles in surrounding tissue. The sun, inflamation, or injuries then cause further damage to the area which is unable to heal as fast as normal healthy tissue.